The sub title of this book is ‘A practical guide to positive interventions for children and young people’ and that is exactly what it is. 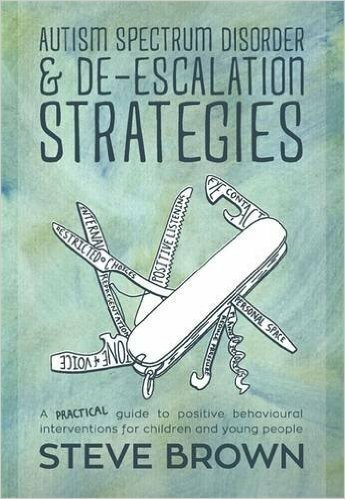 The chapters of the book deal with the different techniques that can be used to deal with behaviours that could escalate and cause harm to the children or adults involved and, although the final chapter is titled Restrictive Physical Intervention and Positive Handling, it is clear that Steve Brown has written the book to avoid situations where physical intervention is needed. Steve Brown does not present himself as the definitive guru on all things related to behaviour in ASD children and he is honest in his reflections of the occasions when he may not have acted totally correctly in the heat of the moment. I found this refreshing and also realistic because adults who deal with ASD children can, and do, make unintentional mistakes. The book makes you feel that it is ok to make mistakes as long as you learn from them and move forward. The key points at the end of each chapter are a useful summing up of what was dealt with and a quick reference point if needed. I found the book very useful as I was reading it at a time when my son – 14 with Aspergers, ADHD and ODD - was demonstrating some particularly difficult behaviours and I needed to try and keep myself calm and prevent him from further meltdown. It is a book that I will refer back to over time and the advice is helpful without being condescending. 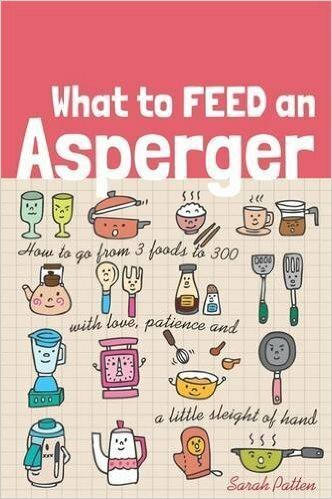 While the title of this book obviously highlights the problems of accommodating fussy eating for Asperger sufferers, it could actually be how to feed any child with an inability to eat a variety of foods. Sarah’s approach to her son’s limited eating choices led her to a more thoughtful and measured understanding of why it was that her son refused to eat specific things. By calming going over things with her son, she established ways of encouraging him to try different foods, their textures, smells and colours. As Sarah say, it is not an overnight process and has to be taken slowly, but her son now eats a whole variety of food that she wouldn’t have been able to contemplate putting in front of him before. Sarah has many useful tips to help address the stressful problems she encounters. She minimises the amount of sugar in her son’s diet – something that is no doubt beneficial to all children anyway – by making her own low sugar versions of everyday staples and offers solutions to cope with scenarios where an Asperger child can become distressed. This could be when eating out, be that in a restaurant or as a guest at someone’s house. In her ‘signing off’ paragraph, Sarah sums things up by saying ‘small life changes have reaped huge benefits for us and they can for you too.’ The book’s message is that, whilst having a child with Aspergers can be demanding, there are ways to deal with it that are simple, effective and not at all overwhelming. The recipes provided look delicious and don’t seem too onerous to prepare and the practicalities of a methodical approach are clear. I look forward to trying out all the recipes Sarah provides and the beauty is that they work for everyone in the family. 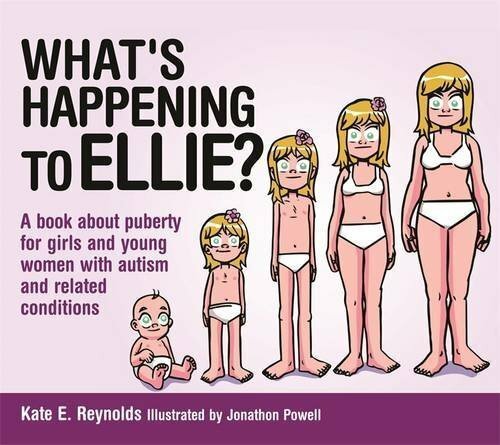 This series of books is aimed at young girls and women with autism. It provides easy to follow, illustrated explanations of situations that may cause confusion to a female on the spectrum. It uses very basic, clear language to help with the understanding of everyday issues that can be confusing, even to non-autistic people. The pictures are simple and to the point and emphasise the points made in the text. To someone who has not dealt with autism, the books may appear patronising, but one assumes that anybody reading them, would be doing so in order to gain more understanding of the condition. There is a similar trio of books aimed at boys and young men with autism with Tom as the central character.